It’s been two months since Starz graced us with the first trailer for the sophomore season of American Gods. Viewers were likely annoyed that the preview didn’t include a release date, but we’ve got one now. The network has announced that the series based on Neil Gaiman’s best-selling novel will return on Sunday, March 10. Just like the first season, the follow-up will consist of eight episodes. The new season will pick up immediately where the first season finale left off, with Shadow Moon absorbing the realization that he’s been traveling with actual gods. During the series’ presentation at this year’s New York Comic-Con, attendees were treated to new footage highlighting several recognizable locations and characters from Gaiman’s book. One of the most noteworthy additions to the show is the House on the Rock, which is where Mr. Wednesday finally reveals his true nature to Shadow. For the uninitiated, he is actually the Norse god Odin, who drafts Shadow into a war against the newer deities seeking to wipe out the older gods from existence. 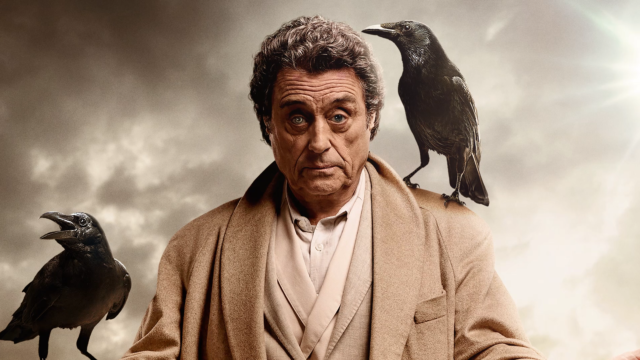 RELATED: NYCC 2018: The American Gods Season 2 Trailer is Here! In addition to the release date, actor Ricky Whittle (Shadow) has shared a new poster for the upcoming season. You can check out the new artwork below. Are you excited for American Gods to return in the spring? Tell us what you think in the comment section!